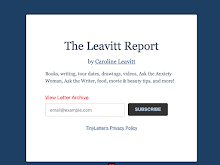 CAROLINELEAVITTVILLE: Jenna Blum talks about THE LOST FAMILY, genetically coded emotions, the difference between writing and public life, and so much more. 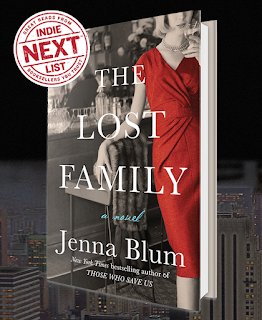 Jenna Blum talks about THE LOST FAMILY, genetically coded emotions, the difference between writing and public life, and so much more. 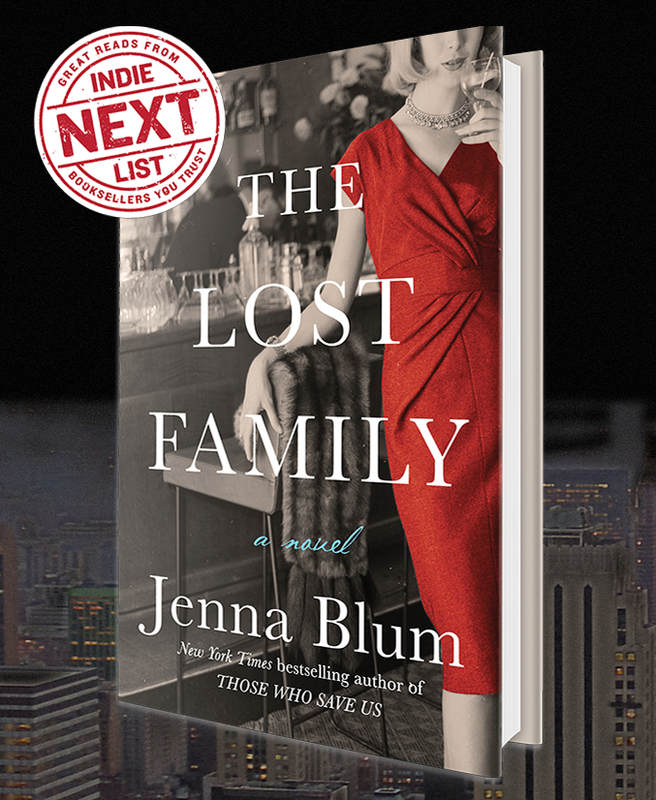 Jenna Blum is the New York Times and internationally bestselling author of Those Who Save Us (the #1 bestselling novel in Holland), The Stormchasers, and The Lucky Ones. She's one of Oprah's Top 30 Women Writers, and I'm so lucky to count her as a friend. We've had online pajama parties, mourned our moms together, and everything fantastic that they say about her is totally true. Her new book The Lost Family is extraordinary. Says The Village Voice, "You can't help but be swept up for the ride." I'm thrilled to have Jenna here because I love the book, and I love her. I always think writers are haunted into writing their books. What was haunting you? Recently on Twitter there was the hashtag #WhyIWrite. My answer was simple: because I have people in my head who won’t leave me alone. I had worked with the hero of The Lost Family, Peter Rashkin, before in my novella for the post-WW2 anthology Grand Central, and I was gratified and humbled by readers demanding to know what happened to him beyond the cliffhanger I left him on. So I was preoccupied by that question and kept throwing it up to the Universe—but the answer always returned to me in the form of Peter’s daughter, Elsbeth, and her unsuitable crush Julian, the photographer. I was consistently presented by the image of the two of them on Elsbeth’s nominal grandparents’ terrace in Larchmont, New York, both outsiders—Julian because he is the flavor du jour photographer who’s making a sensation shooting naked pre-teens; Elsbeth because she’s a teenager. They’re both synesthestic, meaning they assign colors to letters and numbers, and I saw them over and over again comparing notes. They were as persistent as Elizabeth Warren, and they were the part of The Lost Family I started writing first. The shadow of WWII hovers over the book. I’ve read recently that scientists have shown that traits like sorrow are actually genetically coded and can be passed down through the generations. It felt very much like that in your novel. Can you talk about this please? I’m so, so glad you mentioned this, wonderful Caroline! It’s like you’re prescient, looking into my head, study, and research process for The Lost Family. Much of what I was working on, and a theme I’ve been fascinated with for all my novels, is how people survive trauma: what effect it has on their psyches, bodies, and lives; how they forge on in the aftermath. And since our knowledge of PTSD is always evolving, so is my research. For Peter, for example—an Auschwitz and Treblinka survivor—I read The Body Keeps The Score, a seminal book about how trauma is encoded in our physical beings and how that might be treated. While I was hip-deep in that book, the New York Times began running articles about how trauma affects not only the survivor but can be encoded in his DNA and passed down to the next generation! Children of survivors, for instance, often have abnormalities in their levels of cortisol—a chemical that regulates the body’s fight or flight instinct. So Peter’s daughter Elsbeth may not only be mentally influenced by her father’s response to trauma, which is that he has an easily reachable emotional saturation point—too much emotion and he shuts down. Elsbeth may also have physically inherited Peter’s trauma, which presents in her life as an eating disorder. Of course, children of survivors often talk about their parents’ strange attitudes and behaviors toward food: it’s common for survivors to be food hoarders, for instance. Peter is a chef, and his wife, Elsbeth’s mom June, is a former supermodel, so right there you have an excellent recipe for Elsbeth’s anorexia and bulimia. Plus, the 80s. 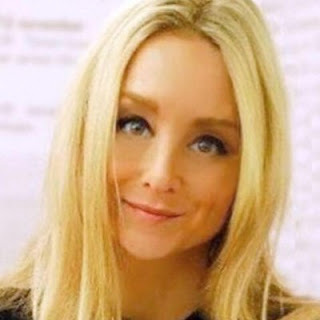 Still, we are all a product of our family’s genetic and emotional blueprints, and children of trauma survivors bear some unusual markings, which is a big theme in The Lost Family. So much of The Lost Family is about the families we make and the families we yearn for and can no longer have. Its tragic hero really is Peter, who is a survivor of Auschwitz, a celebrated chef who refuses to be called chef because that was what he was called in the concentration camp. He tries to remake his life with June, a beautiful model and they have a daughter. But how can he let go of the past in order to find a future? Do you think this is possible? That’s such a good question. I know a therapist—a trauma expert, actually, specializing in exactly the kinds of techniques Peter needs, therapy that physically retrains the body to recognize that trauma is no longer happening. His mantra is: “The sh*t never goes away.” Once there’s trauma, there’s always trauma. With help, you can learn to recognize it, live with it, and manage your responses to it, making your life easier on yourself and your family. This is help Peter is loathe to take advantage of in The Lost Family, even though his wife June begs him, before their marriage and during, to go into analysis. But this specific kind of therapy wasn’t available during the decades—1960s - 1980s—in which The Lost Family takes place, even if Peter had been willing. The Holocaust survivors I interviewed for the Steven Spielberg Survivors of the Shoah Visual History Foundation had by and large managed to move on with their lives, and although it’s irresponsible to generalize, my impression is that many of them accomplished this feat by major compartmentalization. They didn’t talk about their experiences—period. Not to their families, not to their spouses—even if, in some cases, their spouses were also survivors. Not until I came along with the Foundation as an “objective listener,” an interested party with no personal investment, were many of them able to talk, and then several ordered their testimonies sealed until after their deaths, so they would never know their stories had on their families. Or they were public speakers who talked about their experiences all the time, in schools, synagogues, and libraries, traveling ceaselessly to warn their audiences what evil people are capable of so it would never happen again. So I guess my answer is: the sh*t never goes away, but people find ways of working with it. Those ways might not be perfect and they might hurt other people. But the persistence of hope in the face of unimaginable past hurt is remarkable. And your question—can we really ever move on? Is there redemption?—is so fascinating and out of reach to me still that I’m working on it for Book 4. I loved the story of Elsbeth, and the older artist, which was both shocking and exactly true. Can you talk about how pain changes us—and how, unlike Peter, we might be able to become whole again? Thank you so much! I have to admit, I adore Julian, in all his talent and complete f*cked-up-ness. And Elsbeth, with her awkwardness and her sort of mouth-breathing, stubborn determination to make him see her the way she wants him to, so she can capture him. Elsbeth literally reshapes herself to make Julian love her—a futile pursuit, of course, because all along Julian has been capturing Elsbeth precisely as she is, and that’s what makes his portraits of her so successful. I loved playing with questions of perception and self-perception in Elsbeth’s section—it’s such a hall of mirrors. I was a plump kid and bullied for it, like Elsbeth, and naturally evolved into an eating disordered teen, and even today I am sometimes surprised to look into a mirror and see the woman I am now as opposed to the ever-present teenager. Sometimes I ask my guy, “Is that woman what I look like? What about her? Or her?” I literally have no idea what shape I am. What has helped me—and what I hope Elsbeth will grow into eventually—is not to depend on other people bouncing back my idea of self to me, you’re my sweet assistant chef daughter, you’re fat, you’re a superstar!—but to give myself the gift, every day, of saying, You know what? You’re doing the best you can and you’re more than enough, you’re okay. What was your research like? I loved reading about the 1960s, up into the 1980s. Do you find that your own past reverberates in your novels? What, my past in my novels? Nah. Ha! As you can tell from the above answers, I put a lot of my past into my novels, usually lavishly disguised, sometimes less so, but hopefully with enough layering of story that I’m really out of my own head and into character. I have no intention of writing memoir. 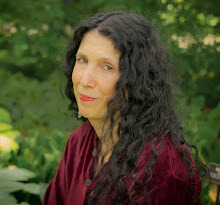 I’m a little known in writing circles for being a “method researcher,” as one of my readers kindly called it, although you could also call what I do “craziness.” I try to recreate, as fully as possible, the environment in which my characters live. For my first novel, Those Who Save Us, I baked everything that appears in the book—while wearing a German girl outfit—went to Germany four times, and interviewed survivors. For my second novel, The Stormchasers, I went stormchasing with a pro tour company for 7 years. For The Lost Family, I did significant research for each character and era: first of all, I had an image board up in my study, comprised of images from 1965, 1975, and 1985, respectively. Every time I finished writing or rewriting a character, I’d take all those photos down and replace them. For June, I re-read all my favorite feminist tomes from the 1970s as well as all the fiction of the day, which was very much about women finding themselves. I probably spent an inordinate amount of time lying on my bed in overalls, knee socks, and a bandanna, over a t-shirt that read FEMINIST, wallowing in Erica Jong. And my walls were papered with supermodels from her era. For Peter, I spent an entire summer reading chef memoirs—then creating the menu for his restaurant, Masha’s, inventing the dishes, and cooking every single item. My guy and our dog were my willing taste-testers. I had the most fun making baguettes, which involves throwing ice cubes into the oven at intervals while they were baking to make a crisp crust, resulting in satisfying explosions. And the Masha Torte chocolate cake, which features cherries flambé so you can set it on fire. Our favorite was Chicken Kiev, a recipe I modified from the MadMen Cookbook, which involves doing many obscene things with butter. I had a restaurant in my basement when I was a kid, called Faster, and I worked in food service for many years to feed my expensive writing habit, so Peter’s story helped me live my alternate existence as a chef. What kind of writer are you? You make it seem so effortless. And what is it like to be a star over in Holland, as well as here? I am the kind of writer who either is writing or not writing. I don’t write every day; I write when the story is ready, which means I shuffle around for months if not years thinking about the story, letting it gestate in my mind, making cryptic notes but not too many because I don’t want to dispel it. I’m both in love with the story at that point and cranky because I feel guilty for not actually writing-writing. When I am writing-writing, I do nothing else—I don’t teach, I don’t do any public-speaking. I sequester in my house in rural Minnesota and make bread or soup in the morning, drag my heels, whine, clean, vacuum, and sometimes drive to TJMaxx, and then I write for three or four hours. I do this until the book is done, which takes three to six months, and then I revise, same process, and then I do it again and again until the book is not perfect, because it will never be, but as right as it will get. During this time I correspond daily with a couple of other writers going through the same thing, and I inflict nonsequitur conversation on my guy, and after the first draft my agent reads the book and gives feedback, and I wear the same pair of yoga pants or pajamas for, like, ever. I change them when I remember real people can see me. As you can imagine, this is quite a contrast to public life. I am truly blessed—the word cannot express the miracle of it—to have a phenomenal following in Holland, which is a result of my first novel, Those Who Save Us, being very popular there. I think this is because so many Dutch readers were in the Resistance during World War II or remember their parents and grandparents resisting the Nazis. I have tremendous reader support in the States, an equal miracle. When I’m done writing a book, I do my Emerald City treatment with some very excellent vanity service providers, abuse Anthropologie, and go on tour. There is such a weird leap between walking around with people in my head for months and months in total isolation and then being out in public, in big rooms filled with real people, who somehow know the people in my head. Stephen King calls it “the telepathy of reading”; it’s like electricity or light, which illuminate our lives even though we can’t quite see how they work. It’s magic.